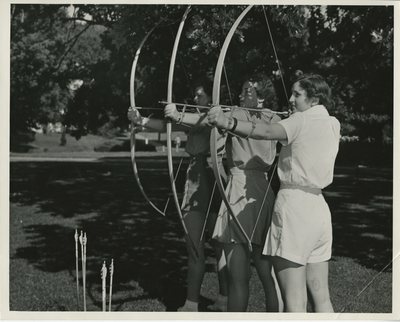 Three Linfield College women practice their archery out on the grass during physical education (P.E.) class. Unknown, "Women Practicing Archery, 1955" (1955). Linfield College Archives Photograph Collection. Image. Submission 28.